Driven by vision to achieve significant growth in this industry, we are providing a premium quality array of Polished Marble Slab. To furnish the diverse requirements of our clients we are involved in offering a wide range of Concrete Polished Slabs. Offered products are used in the construction of buildings, houses and many more. These are highly acknowledged among our clients for their availability in various designs and sizes. Moreover, we also assure safe and timely delivery of our products to meet the clients needs. 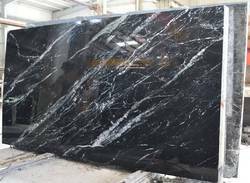 We manufacture and export a large variety of Polished Marble Slabs and tiles that are available in various designs, color combination and finishing. Our marbles are long lasting & durable in nature and are specifically designed to enhance the outlook of any place, wherever installed. These marbles tiles and slabs are available with us in a cost-effective manner.